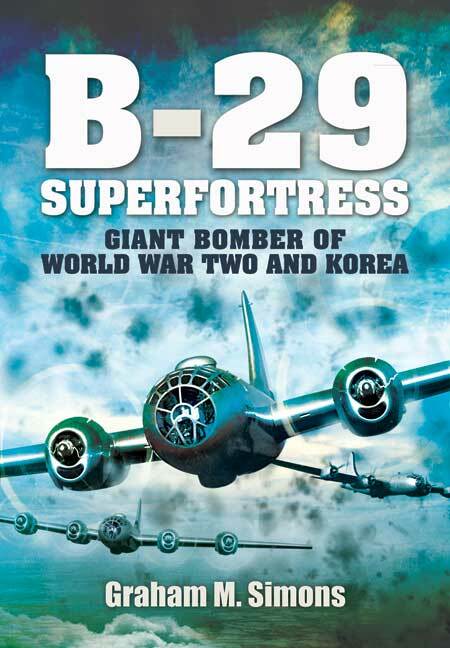 You'll be £4.99 closer to your next £10.00 credit when you purchase B-29: Superfortress. What's this? The Boeing B-29 Superfortress was a four-engined heavy bomber flown primarily by the United States in World War Two and the Korean War. The B-29 remained in service in various roles throughout the 1950s. The British Royal Air Force flew the B-29 and used the name Washington for the type, and the Soviet Union produced an unlicensed copy as the Tupolev Tu-4. The name "Superfortress" was derived from that of its well-known predecessor, the B-17 Flying Fortress. The B-29 was the progenitor of a series of Boeing-built bombers, reconnaissance aircraft, trainers and tankers including the variant, B-50 Superfortress. The B-29 was one of the largest aircraft to see service during World War Two. A very advanced bomber for its time, it included features such as pressurized cabins, an electronic fire-control system and remote-controlled machine-gun turrets. Though it was designed as a high-altitude daytime bomber, in practice it actually flew more low-altitude nighttime incendiary bombing missions. It was the primary aircraft in the American firebombing campaign against Japan in the final months of World War Two, and carried the atomic bombs that destroyed Hiroshima and Nagasaki. Unlike many other World War Two-era bombers, the B-29 remained in service long after the war ended, with a few even being employed as flying television transmitters. The type was finally retired in the early 1960s, with 3,960 aircraft in all built. Without doubt there is a clear, strong requirement to ‘put the record straight’ using primary source documentation to record the undoubted achievements alongside and in context with the shortcomings to the type’s design and operation that have otherwise received scant attention. Covering all topics in detail. The post-war story is then addressed with an equal level of commitment. This is a well written comprehensive account of the topic. Well illustrated with black and white photographs and diagrams. Very good read and should prove a useful reference source. In its 256 pages, there are numerous illustrations and drawings showing both exterior and interior details. There is a lot of detail given on a variety of subjects, including flight-refuelling and the TU-4. Personal accounts of crew members add a human level and this well-written history of a history-changing aircraft is highly recommended.